ALEKO's Retractable Patio Awning will liven up your outdoor living space and let you to enjoy the outdoors in any season. 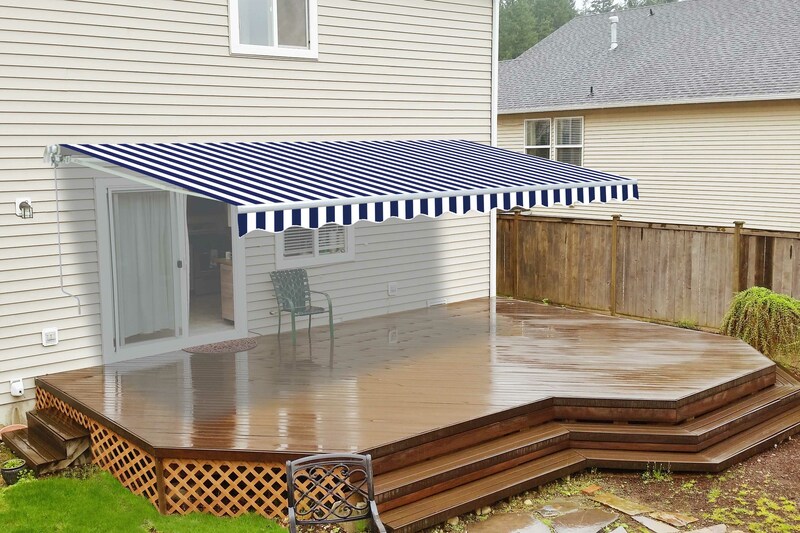 This easy to use awning can be opened and closed in less than one minute. Simply rotate the hand crank to extend and retract the awning without the use of electricity. Made of 100% polyester, this high-quality 3 x 2.4 m awning will protect you from the elements for many years to come. Each awning comes with a one year warranty. Assembly required. An installed Awning and how it works. Awnings arrived and were installed last night. Looking back over dealings with Aleko, I recommend more staff on customer desk. Waiting times were often half an hour, in trying to inquire about availability of the product, which was on its way from China. You should be open to back orders, another point.